Eurodollar couldn’t stay below level of 50% and started growing up very fast. 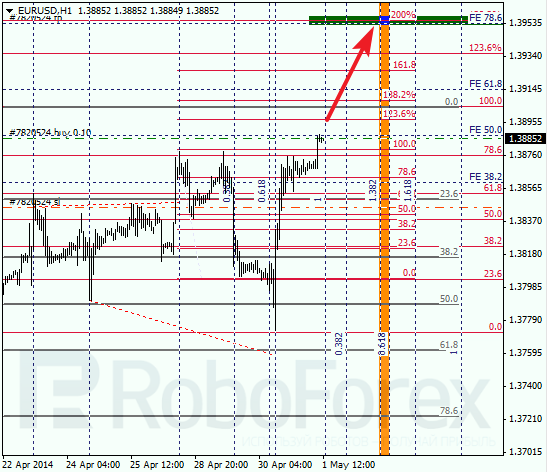 Closest target is the group of fibo levels at 1.3955. Possibly, price may reach new maximum during the day. 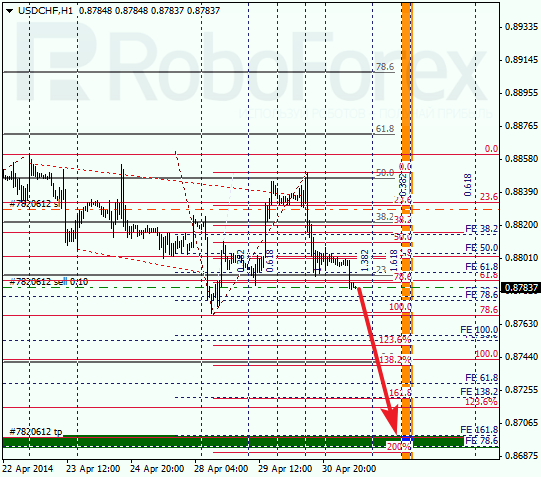 As we can see at H1 chart, market is being corrected and I decided to open buy order. According to analysis of temporary fibo-zones, upper target levels may be reached before the end of this week. If price rebounds from them, market may start more serious correction. Franc is trying to start new descending movement. Yesterday price rebounded from correctional level of 50%. 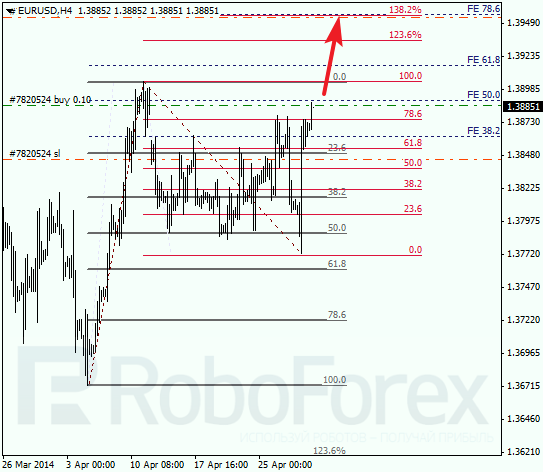 Probably, bears’ next target is the group of fibo levels at 0.8695. 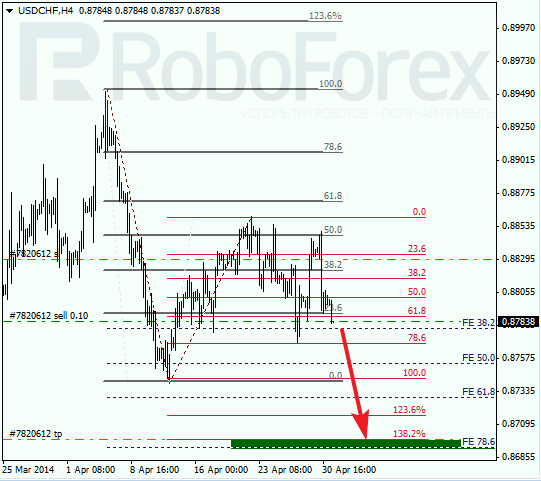 As we can see at H1 chart, there are several additional fibo levels inside lower target area. So far, I’ve got only one buy order, but if market continues falling down, I’ll increase my short position.